One scoop (20g) 30-40 minutes before training. Use only before training. People sensitive to stimulants may start from using half a recommended dose. It is worth increasing the intake of liquids during supplementation. Do not use in the evening hours, because of the possible effect of sleep quality deterioration. Buzzer of insulin. It pumps and harden muscles, promotes anabolic processes and improves metabolism. Glycocarn (GPLC) - glycine propionyl-L-carnitine is one of the more advanced call ester of L-carnitine and the essential amino acid glycine. Propionyl-L-carnitine (PLCAR) with high bioavailability, is involved in the metabolism of fat, and the influence on the composition and silhouette of body by reducing body fat. Improves the functioning of the cardiovascular system and the heart. Supports the exercise capacity. Glycine is selected from 22 endogenous amino acids that are building proteins, as well as no-protein component of enzymes (haem), is a neurotransmitter inhibiting antioxidant, cholagogic. Set of these components improves the GPLC bioavailability and improves its chemical properties, in particular effecting the reduction of body fat and improving the blood supply and nutrition of muscle and improves the aerobic capacity of organism. 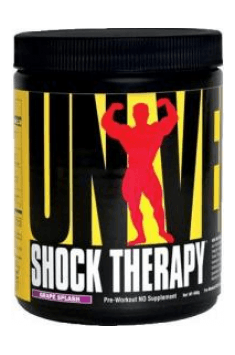 In the sports supplementation - used in programs to increase muscle mass and strength and improve body composition and body aesthetics, by athletes of strength and endurance sports, in the form of no-boosters, creatine stacks and pre- and post-workout supplements. Dosage: 1-4 g per day (usual dose in sports supplementation). L-alanyl-L-glutamine (synonym: Sustamine dipeptide) is a combination of a single molecule of the esterified amino acids alanine and glutamine. The compound used in medical diseases causing the loss of nitrogen at the time of surgery of injuries and burns. The advantage of the compound is high bioavailability and stability in aqueous solutions and the ability to use lower doses. In the sports supplementation, its anti-catabolic effect is used. It facilitates regeneration of the body (including the regeneration at night), recommended for psychophysical active people, during exhausting training sessions (or examination), having problems with fast regeneration (or concentration). The product is available in the form of mono-preparation and advanced amino acid and glutamine supplements. Dosage: the lack of clear standards of daily consumption. Trehalose, a carbohydrate of disaccharide group, in the natural from present in bacteria of some species of fungi and invertebrates that protect cells against climate change (drying, cold and overheating). It is a good source of energy used, both during exercise and at rest. It is characterized by lower availability of the digestive enzymes and the stability of blood sugar levels. In dietetics and sports supplementation trehalose is used as an ingredient in supplements and pre- and post-workout preparations, available at www.muscle-zone.pl.